Program participants can enjoy a one week (7 nights) stay at an Endless Vacation Rentals affiliated resort. This program offers access to one of the largest collections of vacation rental accommodations around the world, ranging in size from studios to multiple bedroom suites, at their choice of locations in the U.S. and around the world. These vacations could be valued at more than $1,000 but can be purchased for incentive, promotion and fund-raising programs for $599 or less. These promotional coupons provide extra value for consumers when shopping at their local supermarket and are available for an extremely low cost for customer acquisition, member benefit and promotional programs. Please see the attached presentation about our program with Restauaurant.com. These tags help assure that lost luggage, laptops, cameras, smartphones and other devices are returned to their owners. The Trak ‘N Return system makes it easy and free for people who find lost items to contact the owners, but the tags do not identify them so there is no worry of identity theft or home break-ins while traveling. This advanced system allows marketers to use proximity marketing to create highly personal and localized offers for consumers while they are out and about, thus improving the relevance and engagement in loyalty and promotional programs. PAK-IT is a US patented commercial grade, liquid cleaning chemical hyper-concentrate with a "single-serve" solution for Janitorial products. 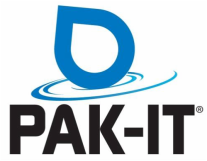 PAK-IT "single-serve" concentrates include a full range of janitorial products from glass cleaners, degreasers, deodorizers, kitchen and bathroom cleaners and a full range of carpet and hard floor surface cleaners.